We believe that businesses can and should make a profit and make an impact in communities they serve. Life and Whim’s mission is to make a big impact, but we need your help. Each Life and Whim purchase supports kids and families to live richer, healthier, fulfilling, and adventurous lives. Each year we select a charitable organization that shares our passion for helping kids and families. A portion of the proceeds from every purchase goes to help our charitable partner achieve its mission. We love entrepreneurship at Life and Whim. What we love even more is entrepreneurship that elevates people, passion and profit. Munson’s story begins with yours. Whether you’re welcoming a baby, embracing life as a growing family, discovering new passions in retirement, or planning for your golden years, our expanded and enhanced health care services will continue to touch all generations in our community. 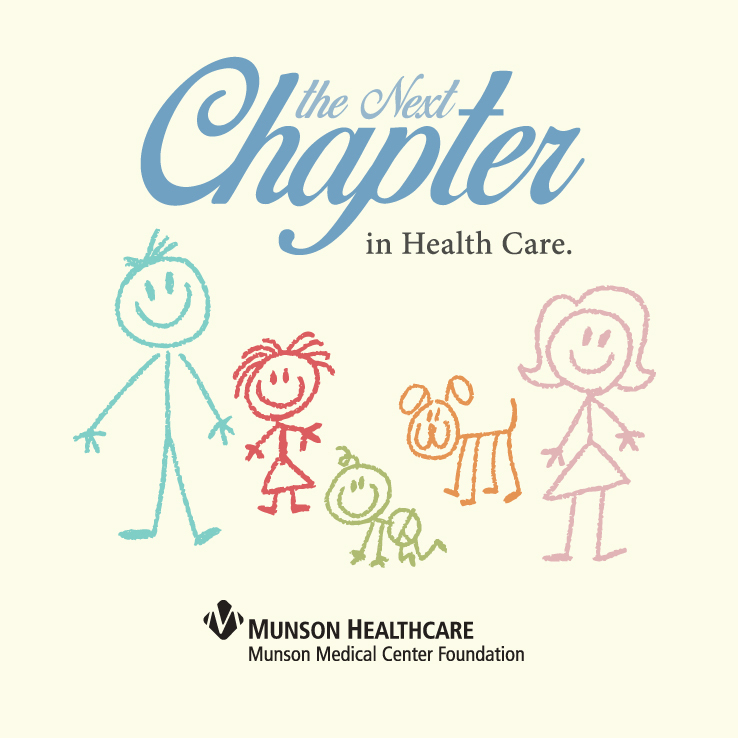 Munson Healthcare Foundations launched a public fundraising campaign in fall 2018 for Munson Medical Center’s largest expansion project to date. This campaign aims to generate support and donations for the next expansion of services at Munson Medical Center — health care services that will help community members of all ages and at every stage of life throughout our health care system. The project is estimated to cost $80 million. Our fundraising goal is $36 million, with $27 million raised so far. If you would like more information, please contact Debra Henderson, Director Munson Healthcare Foundations, at 231-935-7668 or dhenderson@mhc.net.